We are dedicated to making the transition to Mac’s Pharmacy as smooth as possible by having a dedicated transition team. Our proven process has collaborative planning that starts up to 75 days before launch! We understand that partnering with a new vendor can be an intimidating and stressful experience. By choosing Mac’s Pharmacy as a partner – we minimize any extra work for your community and create an incredibly positive partnership experience. Through our 75-day onboarding process, our team works with your staff to gather resident data, improve team procedures, and a variety of other tasks to ensure success. During our onboarding process, we also schedule weekly meetings, either virtually or in person, to address any questions, talk through concerns, and further cultivate our growing partnership. After the initial go-live date, we schedule a call once a month to ensure things are running smoothly! Implement changes and build our partnership! Looking for an expedited onboarding? 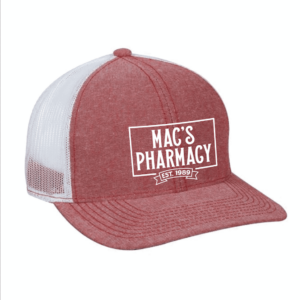 Reach out to us at Mac’s Pharmacy!